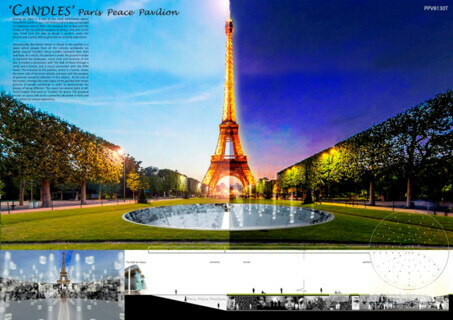 The city of Paris is rightfully termed as 'the cultural capital of the world' because of its rich and diverse ethos and character. 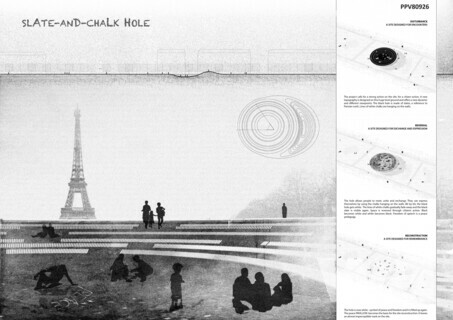 Paris has been the artistic epicentre of the world since renaissance, inspiring many artists, philosophers, writers and architects to innovate and break the shackles of resistance. The city was home to great revolutionaries like Picasso, Miro, Modigliani, Voltaire and Corbusier. But one of the most tolerant cities of the world was shook by recent terror attacks that sent shockwaves around the world. The most serious problem of the 21st century besides climate change has been terrorism, aggression and wars in the name of religion, political mileage, energy resources and economic factors like money and drugs etc. Millions of people have been brutally murdered and executed all these years, while a significant number are still dying every day to satisfy the whims and fancies of fanatic, radical and greedy leaders and organisations. Attacks and conflicts in Paris, Iraq, Syria, New York, Afghanistan, Mumbai, Ukraine, Madrid, Beirut, Nigeria, Bali etc. 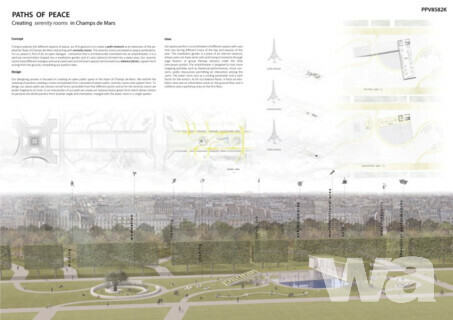 have changed and altered the political and cultural landscape in which architects and urbanists operate. 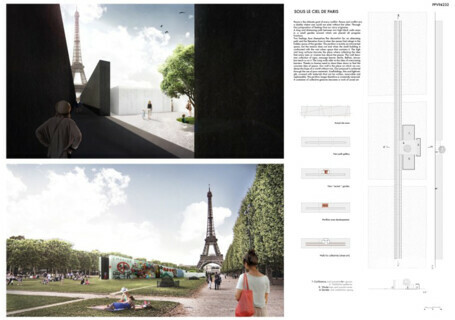 The aim of this competition is to design a 'Peace Pavilion' in Paris that would exhibit the virtues of hope and tolerance, translated through the language of art and architecture. 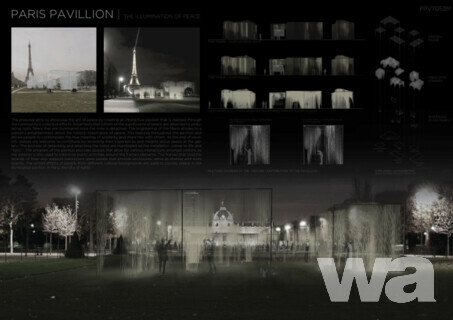 The pavilion should be a free standing temporary structure that can host a variety of activities and exhibitions. 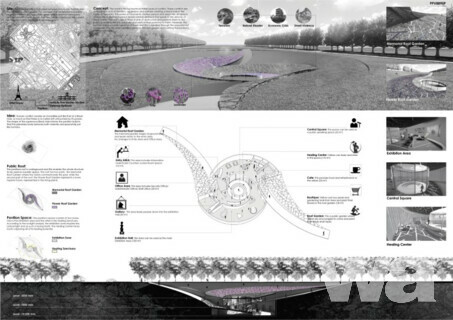 • The pavilion should stimulate and educate people about the virtues of social and religious harmony. 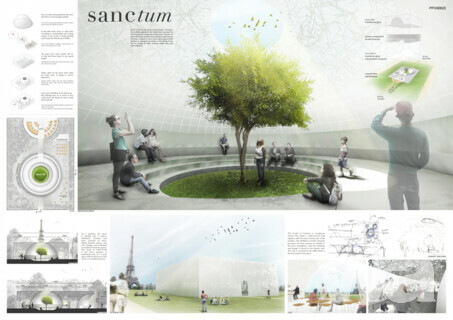 The pavilion should serve as a place for personal reflection, a thinking place, where the visitors can contemplate and introspect. 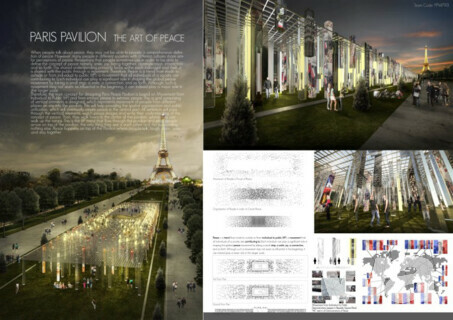 • The competition seeks the inclusion of art, in any form, pure or translated, within the pavilion. 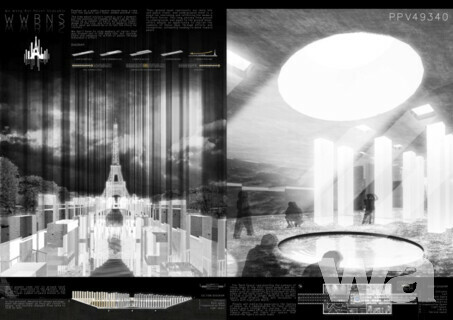 The participants are free to create their content and function of the pavilion, which could depict situations or events, showcase the horrors and trauma of people and inspire them to stop the menace of terror and promote peace. 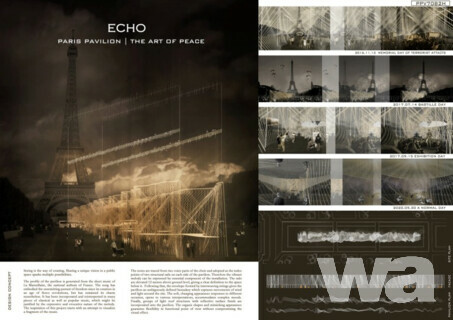 • The pavilion should of a temporary or semi-permanent nature that would constructed of durable and easy-to-maintain materials, and shall comply with building codes. 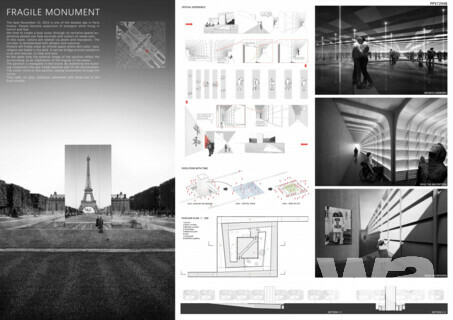 The aesthetic quality, materiality, volume and form should add vitality, beauty and a sense of identity to the space, paying respect to the history and contextuality of the surrounding. 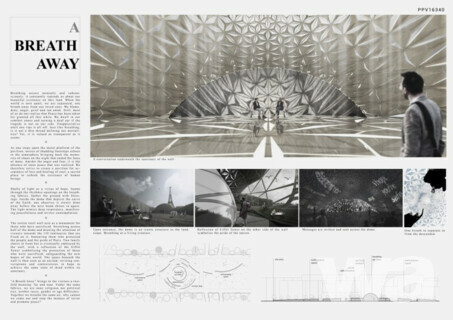 • The pavilion should become an important landmark and reference point for the inhabitants and visitors of the city, a space that is integrated in the natural environment and that is flexible enough to adapt to a wide variety of activities in and around the structure. 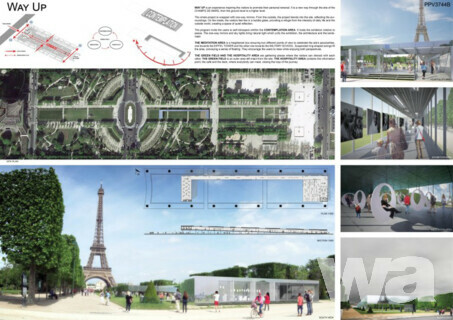 The participants are asked to design a pavilion in the Champ de Mars near the Eiffel Tower, in the area outlined by Avenue Joseph Bouvard and Avenue Charles Risler.